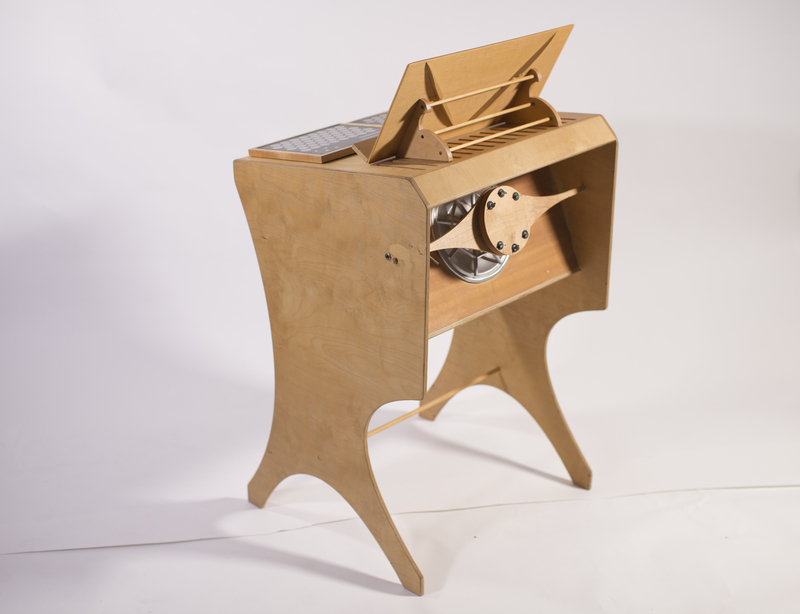 The musical instruments invented by Jeff Snyder are inspired by age-old techniques of instrument building. Combining this inherited knowledge of luthiers with compositional ideas based on intonation alone, it might not be surprising that the work of composer and instrument inventor Harry Partch inspired him. Unlike the Partch instruments, Jeff’s instruments all have electronic components. And it is exactly this combination of acoustic and electronic elements what makes them so remarkable. By using the advantages of both acoustic and electronic sound-shaping possibilities, Jeff found several clever solutions for common problems in instrument design. Many different and very precise tunings can be achieved by using electronic sound. This is a problem often unsolved in traditional instruments. These electric signals are not amplified by common loudspeakers though, as the sounds produced by synthesisers often are. 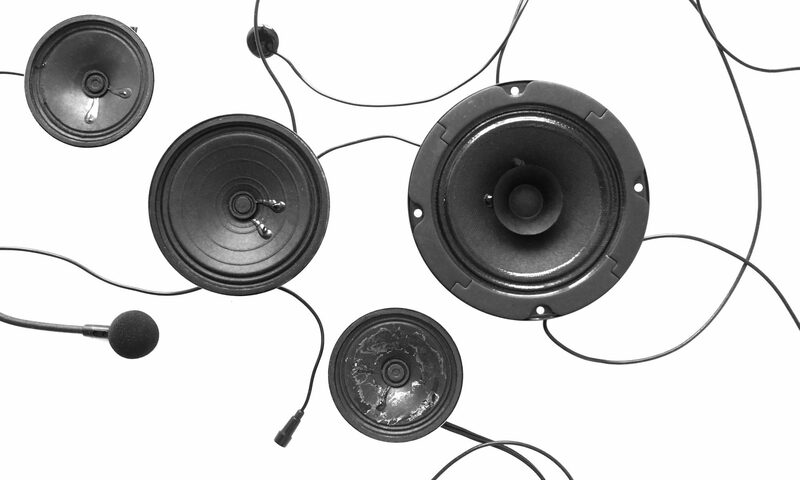 Each instrument uses its own purpose-built, so called “acoustic resonator” for its sound diffusion, instead of relying on existing loudspeakers. My main focus here will be these different acoustic resonators and how they are built by Jeff, but if you are interested in more details on how these instruments are played, how their electronics function, or in the tuning system they use, have a look at this website on the composition Undeciphered Writing or read Jeff’s dissertation, Exploration of an Adaptable Just Intonation System, for a very thorough explanation. And watch the video at the end of this post with many close-ups of the instruments played. Jeff developed several instrumental families such as the Birls, the Mantas, the Contravielles and the Forceboxes. The playing techniques for these instruments are often based on the ones musicians use on traditional instruments so they can easily learn their new instrument. As the first page of the score shows, the notation is also easily readable. 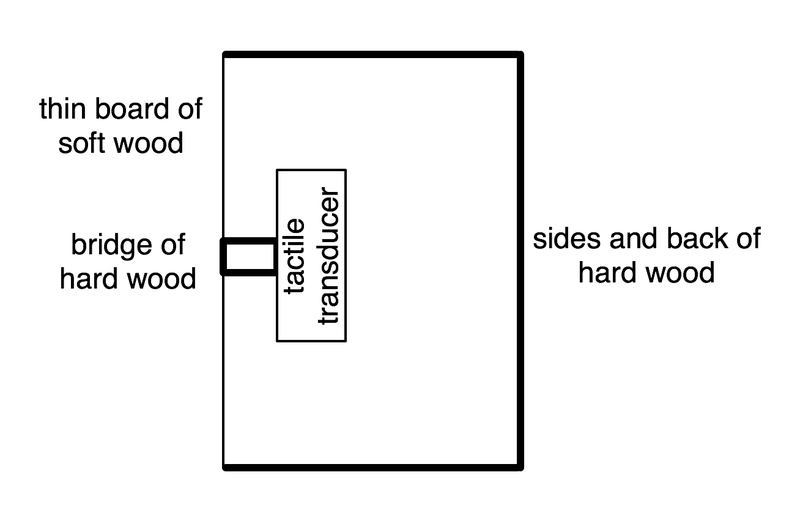 The main building principle of all these acoustic resonators is a wooden box. The electric signal is transmitted to this box by a tactile transducer. The wooden boxes are made from traditional tone woods, such as spruce and maple, which are used also for guitars and violins. Jeff studied the construction of string instruments carefully, and adapts this knowledge to his resonators. An early example of using electric signals to bring objects into vibration is Rainforest by David Tudor. But David Tudor makes sculptures out of found objects (jars, metal cans, bath tubs, etc. ), and Jeff’s instruments are designed for the sole purpose of diffusing sound in a musical way. 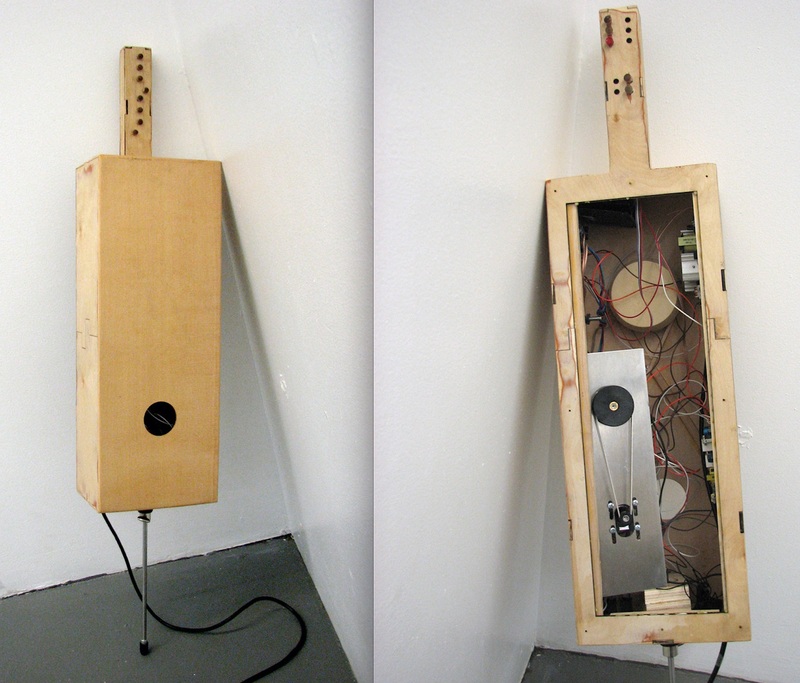 Taking traditional instruments as a model for his acoustic resonators is also what distinguishes Jeff’s use of tactile transducers from many of the other works using them. The top of the resonators is made from a thin board of softer wood, such as spruce. 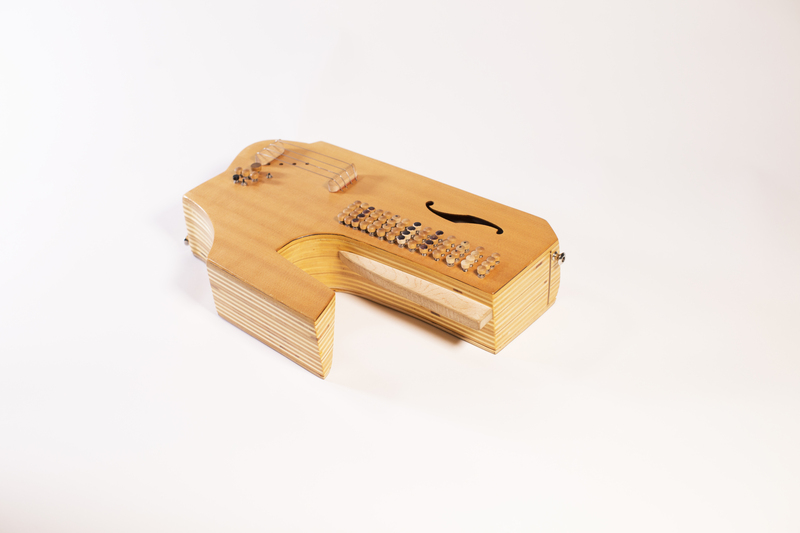 The tactile transducer is placed inside the box and is connected to this top with a piece of strong wood, such as maple (similar to a bridge on a violin connecting the strings to the upper part of the violin body). Jeff works with transducers of the Rolen Star brand, the ones also used by David Tudor. The Rolen Star transducers used in the resonators. 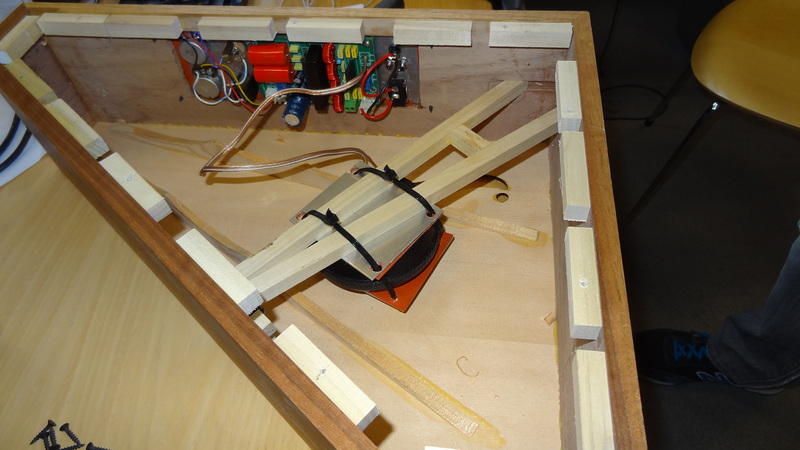 The top, of thin and soft wood, is put in vibration through the bridge connected to the tactile transducer. The main sound diffusing is done by this top, and the sounding result will be filtered according to the resonating properties of the wooden material, its shape, and size. The sides and back of maple wood form a kind of Helmholtz resonator and boost the low frequencies. The resonators all have sound holes and some of them, such as the Manta resonators, even have a lute rose. As Jeff explains, this addition has no effect on the sound, but he believes that by designing the visual characteristics of the instrument carefully, the performer will approach it in a different way. The Bass Manta resonator’s construction is inspired by a double bass (for a short explanation of the names of the instruments, look at the end of this post). The Helmholtz frequency of the Bass Manta resonator, for example, is in the 65 Hz range, similar to that of a double bass. The form of the instrument is very different though, since there is no need to play the instrument with a bow or put fingers on a fingerboard. A smaller resonator—called a midrange pulpit—is put on top of this big resonator for mid-range frequencies. This one is not based as much on traditional instrumental design, since the top plate is just attached very loosely. This results in much freer vibrations and can add some distortion to the sound colour, something which would not be appreciated by violin builders. This top resonator can be added by the performer with the help of a volume pedal and is used more as an effect than for ongoing sound diffusion. The importance of the acoustic resonator in this instrumental design becomes clear by comparing the Resophonic and Bass Manta. Both are exactly the same except for the resonator. They both use two Manta keyboards (a USB controller featuring 48 capacitive touch sensors) controlling exactly the same patch programmed in the music software Max. 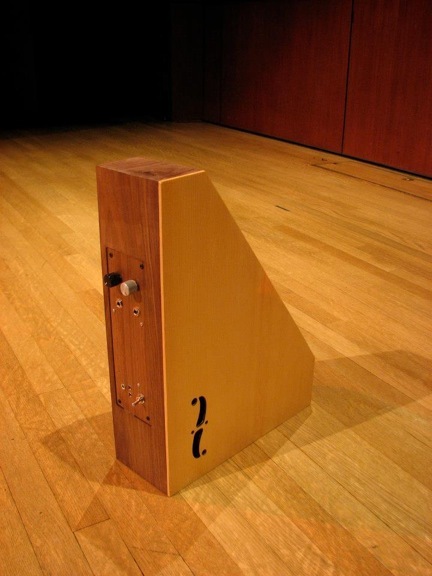 The Resophonic Manta sounds different from the Bass resonator, not only because it is smaller but also because it uses an aluminium cone as a resonator instead of just a wooden board. This design is inspired by the Dobro guitar, which is a so-called resophonic or resonator guitar. The construction was developed in the 1920s to achieve a louder guitar sound (without using any electricity of course). The bridge of this instrument touches an aluminium cone. Jeff used such a cone in the Resophonic Manta. This cone is coupled with a top plate of spruce. A resophonic guitar with an aluminium cone as a resonator. 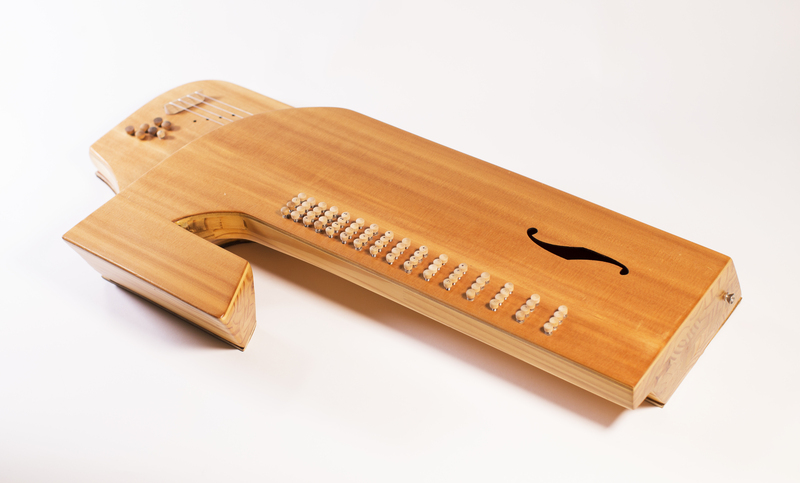 Whereas the Mantas and their resonators are separate entities, the Treble and Tenor Contravielles have their controllers and transducers inseparable, in the same instrumental body. Both instruments are exactly the same except that the Tenor is much bigger. The difference is again in the acoustic resonator. For the shape of this instrument, Jeff tried to avoid any shape which was too similar to existing instruments, ending up with what he calls a “sewing machine form.” Also for these instruments, typical tone woods such as spruce and maple are used. 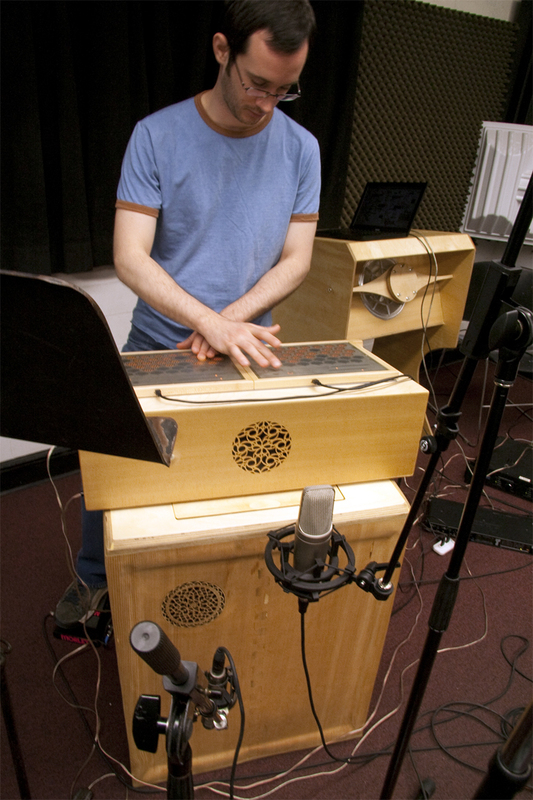 Jeff designed acoustic resonators for several other instruments. The so-called Triangle Resonator was co-designed with Jason Marshall. 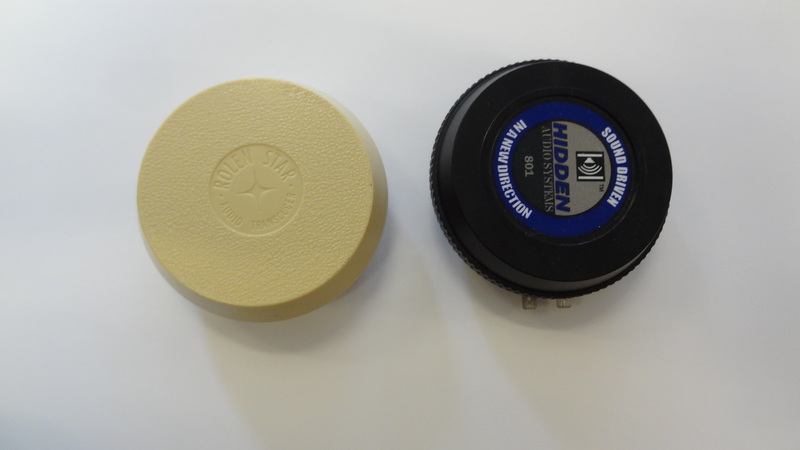 It is used for the Forcebox, a small controller with two sensitive pads. 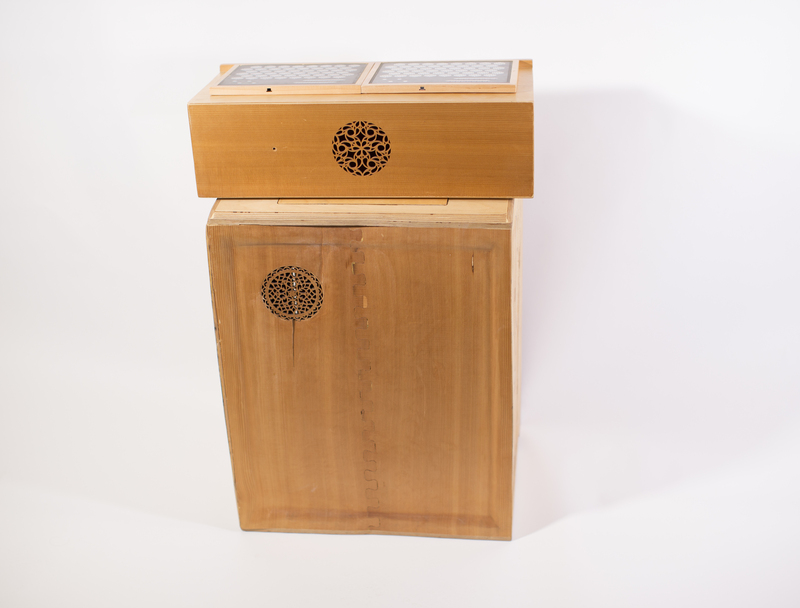 The Birl is also an interesting case: the first two versions used an acoustic resonator integrated in the instrument itself, similar to the Contravielles. But during the development of the instrument the acoustic resonator was separated from the control part of the instrument. A detailed account of the development of these four different Birl versions can be found in the article Adventures in the Development of an Electronic Wind Instrument. In this video of Jeff’s composition, Undeciphered Writing (2012), performed by Sideband, you can see and hear most of the instruments described above in action (only the Birl is missing). 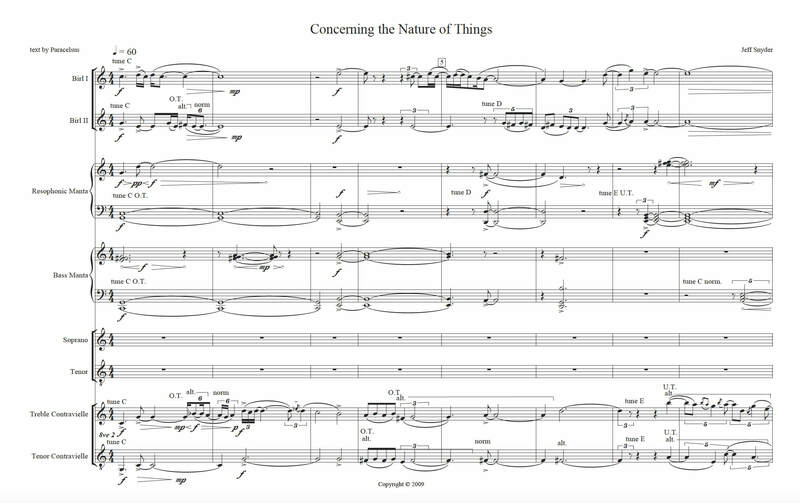 On the 9th of November Jeff Snyder’s new album Concerning the Nature of Things will be released, containing several pieces for these beautiful instruments. The name Manta was suggested by my dad, who loves the ocean. I had designed the keyboard surface of the Manta before it had a name, and the sensors wound up looking like little M’s, so I decided that the name of the instrument should start with M so that I could use the sensor design as a kind of logo. My dad suggested “Manta” after the manta ray. Apparently there is also a cheesy European muscle car from Opel from the 1970s called the Manta. Contravielle comes from the French word for fiddle in the Medieval period, “vielle”. I added “contra” to the beginning because I like how the prefix “contra” can mean against, but it’s also part of instrument names like contrabass. I think of it like meaning “anti-fiddle”. The Forcebox is designed like a video game controller, but it has two force-sensitive pads on the surface of the instrument that you push with your thumbs. I think of those as the primary interaction interface in the instrument, so I named it the “forcebox” after the squeezing gesture that is involved in playing the instrument. The word Birl seemed appropriate in multiple ways: it is an old English or Scottish word for “rotate with a whirring sound,” a type of bagpipe ornament, and slang for “to carouse.” “Birling” is also the name of the sport where lumberjacks run on a river, a connotation that delighted me. The current version of the instrument is arguably completely unrelated to the original design. Only the name has carried over, and the explanation of the name no longer makes sense with what the instrument has become. Many thanks to Jeff for answering my questions!